Bamboo is probably one of the best building materials modern man can put to use to have a roof above his head. Given the fact that bamboo is bio-degradable and grows quickly, it works as an efficient eco-friendly building material. 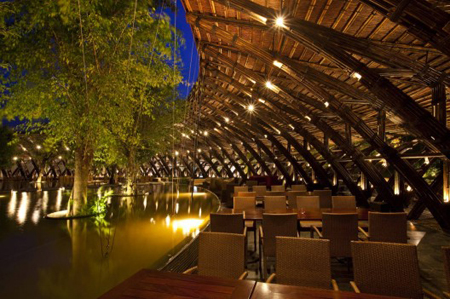 To study the benefits of bamboo building, the Bamboo Wing project was chiseled into being near Hanoi, Vietnam. Made purely from bamboo, this building structure is an aesthetic treat to say the least. Sporting a 12 meter open space without any vertical columns, this structure can be used for outdoor events such as wedding parties, live music concerts, ceremonies and the like. With landspaces slowly diminishing, one of the smartest things mankind can do to solve its ever explosive population problem is living on water surfaces instead. The Lausitz Geierswald Resort located at the Lusatian Lake District in Germany follows this very principal and sports floating residences designed by architectural firm Steeltec37. Sustainable and luxurious, these living spaces are made from a light-weight metal frame base-structure atop an unsinkable pontoon. 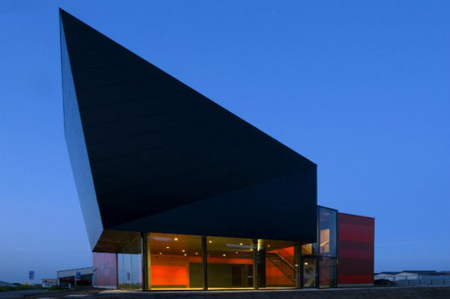 Using large window panels layered with photovoltaic film and hydrothermal heating and cooling systems, these residences also use natural lighting to the fullest with help from automated roof-lighting control systems. Costing $120 per night off-season and $225 a night during summer, this is indeed the perfect way to vacation green. 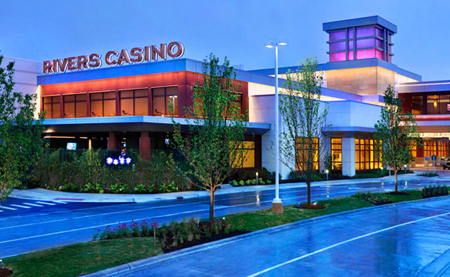 Casinos are now going green with the Rivers Casino in Des Plaines leading the way. A swank new establishment in Chicagoland, the Rivers Casino has been awarded the Leadership in Energy and Environmental Design (LEED) Gold Certification. The first to receive an LEED Gold Certification by the U.S. Green Building Council, this green and eco-friendly place to roll the dice was opened in July 2011 and is rigged with LED light fixtures in parking garages, with 70% of the electrical energy consumed by the building over a two-year period is being offset with green power. That’s not all. The Rivers Casino also makes use of natural lighting to the fullest and recycled 90% of all construction waste. Celebrated Canadian architect John Hix recently pulled the veil off a truly green resort, far off on the Caribbean island of Vieques, perfect for those looking out for a laid-back relaxing vacation, that doesn’t burn holes in the environment. The resort called the Casa Solaris keeps away from grid energy, instead using energy collected by the solar panels, stored in DC batteries. The energy is then converted with an inverter that eventually powers the fans, LED lighting, the refrigerators and other appliances. With the two bedroom suites spread across 1500 square feet each, the midlevel and upper level lofts are 1370 and 1010 square feet each respectively. With enough space to accommodate 16 people, the Casa Solaris is a true green vacationing spot nestled in the Caribbean! UrbanLab, Endrestudio and Method Design came up with the winning design for the 2012 MoMA PS1 Young Architects Program (YAP) called Virtual Water, a one-of-a-kind project that sheds light on environmental issues like the usage of water. The Virtual Water project will use thousands of gallons of rainwater from the PS1 courtyard and brings to mind all the water used during manufacturing processes of countless materials around today. The Virtual Water collects, cleans, conserves and uses summertime rain water and has this flow through conical canopies to create six different atmospheres, each a unique aesthetic treat that serves to inform observers in regards to water conservation. Sure billboards are concerned energy suckers, given the fact that they pull quite a load of energy from the grid to light up. However, this billboard we stumbled across lately has an added touch of green, that separates it from the rest. 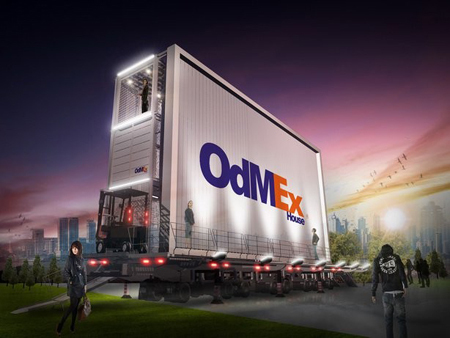 Part of the “House Prototype” Design Competition for Baanlaesaun Fair 2011, Bangkok, the OdMEX House was designed by Thailand-based design firm Apostrophy S. basically, this billboard doubles up as a home. Complete with three stories, this narrow living space might lack the luxuries of a well laid out home, though it does manage to remain pretty comfortable, complete with a bedroom, living areas, kitchen and bathroom, with space to park two cars! With a bunch of solar panels up above, this one could turn into the perfect greenway to live, that generates energy and money at the same time! 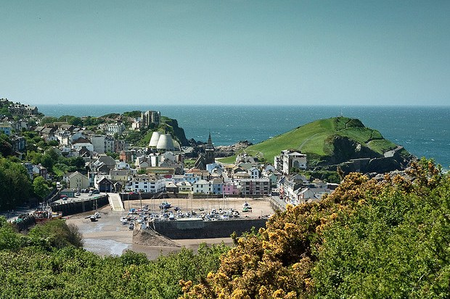 Devon will soon play home to a bunch of new green homes, 500 in all, to be built by artist Damien Hirst. To serve as a model for environmental housing across the United Kingdom, these homes will be green as ever and will include photovoltaic panels and concealed wind turbines in the roofs. To be designed to complement the existing buildings around, these homes could also pack pitched roofs, bay windows, smart gable ends and short terraces and will have lighter carbon footprints than most homes around the world. A great example that could inspire people around the globe, this initiative by Damien Hirst is worth a load of applaud. 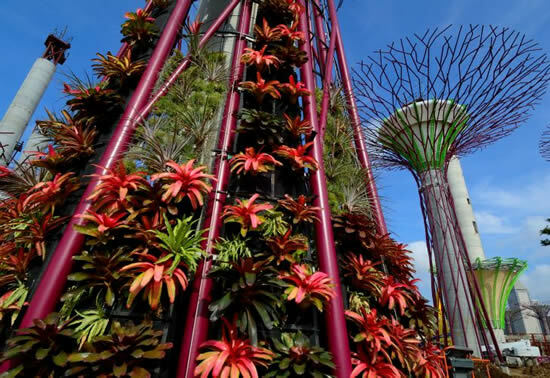 As urban spaces get more cramped up as we speak, spaces for a bit of greenery in our cities are diminishing more than ever. These days, most cities lack sufficient space for green beings to grow and thrive, leading to an overall unbalanced eco-system. A few years ago, Swedish-American company Plantagon came up with an innovative way to bring back the green in our urban spaces, without consuming too much area using vertical gardens. 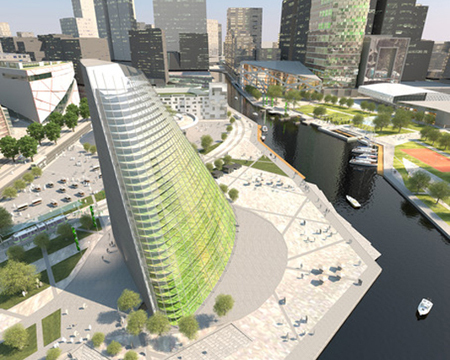 The concept is now being turned into reality as the first vertical skyscraper of its kind is currently sowing its seeds in Linkoping, Sweden! Construction on the first vertical farm called the Plantscraper has finally begun, with the structure will also host space for scientists to test new technologies that will benefit urban farming.